Walking meetings are really in vogue with corporate CEOs. Steve Jobs, the late co-founder of Apple, was famous for hosting walking meetings, a practice later adopted by Facebook’s Mark Zuckerberg. President Obama reportedly ends most workdays with a walk with a trusted advisor or department head, and many of his most impactful decisions have been announced post-walk. But are the decisions made by these leaders while walking more inspired than if they sat down at a conference table? Yes, affirms recent neurological research. In fact, this news just in from Stanford: walking actually does boost creative inspiration. Experimentation there has proven that your average creative output shoots up an impressive 60% while walking. And it doesn’t matter whether it’s inside or outside steps that you prefer, concluded researchers Marilyn Oppezzo and Daniel Schwartz. Getting off your duff and taking a hike improves creative function. Four different experiments showed that whether a person hopped on a treadmill facing a blank wall, or strolled outside with all the accompanying environmental stimuli, walkers had twice as many creative responses as sitters could conjure. Bonus: the positive link between walking and divergent thought continued for a period of time even after the activity stopped. Some of the most creative people of all time were hooked on walking. Charles Dickens was known to be a night walker, oftentimes traveling as far as 20 miles during a sojourn. Mother Theresa, Martin Luther King, Carl Jung and Abraham Lincoln claimed walking helped them arrive at inspirational thoughts. But here’s a surprising twist: the positive effect of walking doesn’t seem to apply to the more straightforward and routine “right answer” thinking process. When asked to do a simple mental exercise to link two related words, sitters showed the slight advantage. In other words, while walking improves brainstorming abilities, it doesn’t necessarily improve focused, convergent thought. 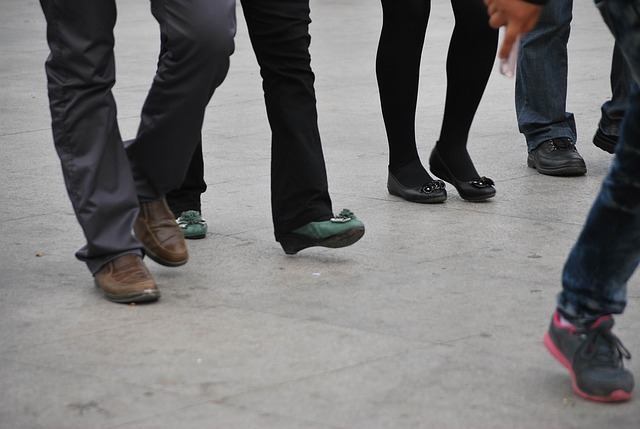 Regardless of whether you need a divergent solution or a convergent response, walking still has a positive role to play in the workplace. Many managers take a coworker aside to ensure a private conversation, or walk to build an impromptu workout into the workday. The camaraderie of a private walk inspires frank discourse and loosens inhibitions. Removing distractions and personal barriers such as a polished desk or glowing computer screen can help bridge title gaps, so that people are more comfortable offering their opinions or asking for help. Business historians have documented that countless multi-million dollar deals or breakthrough product ideas first surfaced during walking meetings. What would work at your place of employment? Take a walk and think it over!